Tony Amonte was the 1991 Beanpot MVP. In the title game, after taking a bone-jarring check and being down on the ice for several minutes, he got back up to score an amazing second-period hat trick within a span of 5:24 to lead the Terriers past Boston College for the championship. He finished his collegiate career with 56 goals, 70 assists and 126 points in only 79 games with the Terriers. He left after two years to play in the NHL. 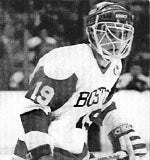 Dave Archambault was the MVP of the 1980 Beanpot, the first-ever won by Northeastern. He played over 40 minutes in each of NU's upset wins over Boston University, 6-5 in round one, and Boston College, 5-4 in the championship game. Archambault was elected co-captain and named team MVP in his junior and senior seasons, becoming only one of eight two-year captains for the Huskies and also one of only eight two-time Team MVP's for NU. Jim Averill led Northeastern to Beanpot titles in 1984 and 1985. In 1984 his defensive prowess helped hold opponents to three goals as NU defeated Harvard 7-3 and then BU 5-2 for the title. In 1985 opponents were limited to four goals as the Huskies swept BC and BU 4-2. 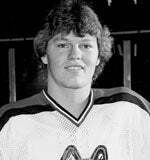 He captained the Huskies' 1985 team and that season was voted All-New England, All-Hockey East and All-America. He was inducted into the NU Hall of Fame in 2002. Bob Bland backstopped the Crimson to two Beanpot championships in 1960 and 1962. As a sophomore in 1960, he guided Harvard past Northeastern and Boston University to win the title and earn himself Most Valuable Player honors, becoming the second goalie to earn the MVP award. In his senior season, Bland allowed only one goal in a semifinal victory over Boston College as the Crimson won the title yet again. 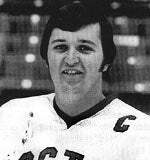 Dan Brady finished his career with the best Beanpot career save percentage (.942) and led the Terriers to Beanpot titles and national championships in 1971 and 1972. In 1971 Beanpot, he backstopped the Terriers to a 12-2 win over Northeastern and a 4-1 title victory over Harvard. Next season was more of the same with Brady in the net the Terriers swept through the 'Pot, defeating BC 4-2 and Harvard 4-1 as Brady shared MVP honors with teammate John Danby. A month later BU won its second straight national title and Brady earned All-America honors. 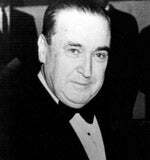 Walter Brown served as President of the Boston Garden until his death in 1964. He was the visionary who realized that, when more than one of Boston's four major colleges were on the ice at the same time, attendance soared; thus, the idea for the Beanpot was born. Besides the Beanpot, Brown also founded the Ice Capades (1940), the Boston Celtics (1946) and USA Hockey (1948). Brown is the only person to inducted into the Basketball, Hockey and International Hockey Halls of Fame. 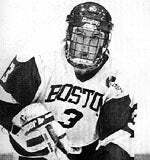 Scott Cashman led Boston University to three Beanpot titles in his first three seasons, winning in 1990, '91 and '92. He is the only player in Beanpot tournament history to win the Eberly Awards three times. He began his Beanpot career with the Eberly and the championship as a freshman, and also won the award in 1992 and in defeat in 1993. An All-New England and All-East honoree, Cashman finished his Beanpot career with a record of 5-1 and a .902 save percentage. Joe Cavanagh is the tournament's all-time leading scorer with a line of 7-12-19, including leading all scorers with a 3-5-8 line as the Crimson won the 1969 title. A two-time Harvard Team MVP, he ranks fifth in career scoring (60-127-187) and set the school record for single-season assists with 50 as a senior. 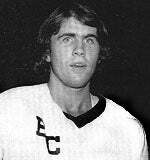 Cavanagh was a three-time first-team All-Ivy and All-ECAC pick, earning him ECAC Rookie of the Year honors in 1969. He was also a three-time All-American (1969-71). 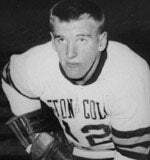 Art Chisholm is tied for third on the all-time Beanpot scoring list with 15 points on six goals and nine assists, including leading all scorers in the 1960 tournament with a 2-5-7 line. A member of the NU Hall of Fame, he set Husky scoring records for most goals (100) and most points (182) when he graduated; he is still NU's all-time leader in goals and ranks fourth in points. Chisholm was voted All-America in 1960 and '61, and was the winner of the Walter Brown Award as Most Outstanding American Player in New England in 1961. Bill Cleary coached for 19 seasons, collecting 324 wins, a National Championship in 1989, two ECAC Tournament titles, four Beanpots and 11 Ivy League crowns. As a player, he established the single-tournament Beanpot scoring record (7-4-11) that still stands today in leading the Crimson to the 1955 Beanpot title. His shorthanded, overtime, game-winning goal against Boston College in the '55 final is arguably the most legendary goal in tournament annals. Cleary was also a member of the 1960 Olympic Goal Medal Team. John Cullen is the Terriers' all-time leading scorer with 241 points in 160 career games. He starred on the Terriers' 1986 and '87 Beanpot-winning teams. In the '86 tournament, Cullen had two goals and three assists, highlighted by a pair of assists in the 4-1 title-game victory over Boston College. As a senior the following year, he assisted on the game-tying goal in the title game against Northeastern, helping BU to a 4-3 overtime win. 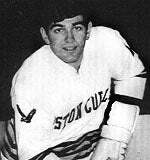 John Cunniff was a member of the 1964 and 1965 Beanpot championship teams and was named the Most Valuable Player of both tournaments. He scored 153 career points in 75 games at the Heights, earning the 1965 All-East Most Valuable Player award and the 1966 Walter Brown Award. Cunniff was a two-time All-American and a three-team All-New England selection. He also was a member of the 1968 U.S. Olympic team and served as an assistant coach of the 1998 U.S. Olympic team. Bill Daley helped lead Boston College to Beanpot titles in 1959 and 1961. He holds the Beanpot single-game record for assists with six and sits eighth in career Beanpot points with 15. Voted to the All-East team in both 1960 and '61, he graduated as the Eagles' all-time leading scorer with 153 points. Daley returned to BC as an assistant coach under Snooks Kelley from 1966-72 and was inducted into the school's Hall of Fame in 2002. Fern Flaman led the Huskies to Beanpot titles in 1980, '84, '85 and '88. He provided the tournament's most dramatic moment with NU's initial Beanpot win in 1980 and the most emotional moment when the Huskies won the title in 1985 and presented the trophy to Flaman's terminally ill son Terry. 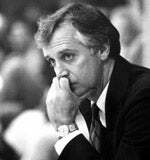 A member of the College Hockey and NHL Halls of Fame, he was named Coach of the Year in 1982 after winning the ECAC Tournament and advancing to the Frozen Four. Flaman is the winningest coach in Northeastern history with 255 career victories. 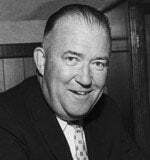 Bill Flynn served Boston College as Athletics Director from 1957-91. His administrative skills and moral fiber helped the Beanpot Tournament to grow and prosper. Flynn supervised the building of BC's first campus hockey home, the McHugh Forum, and then its successor, the Conte Forum. Flynn was one of the founders of Hockey East and in 1994 was the recipient of the Parker/York Award for contribution to New England hockey. 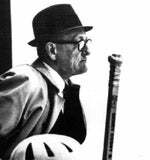 As an undergraduate he won four hockey letters under Beanpot Hall of Famer "Snooks" Kelley. Mark Fusco led the Crimson to the 1981 Beanpot title and was the tournament's co-scoring leader as a freshman in 1980. He holds three school records for scoring by a defenseman. 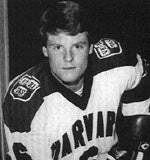 Fusco was a four-time first-team All-Ivy pick, a three-time All-American and the 1983 Hobey Baker Award winner, and also was a three-time winner of Harvard's John Tudor Memorial Cup as the Team MVP. Fusco was a member of the 1984 U.S. Olympic hockey team and played two seasons in the NHL with the Hartford Whalers. 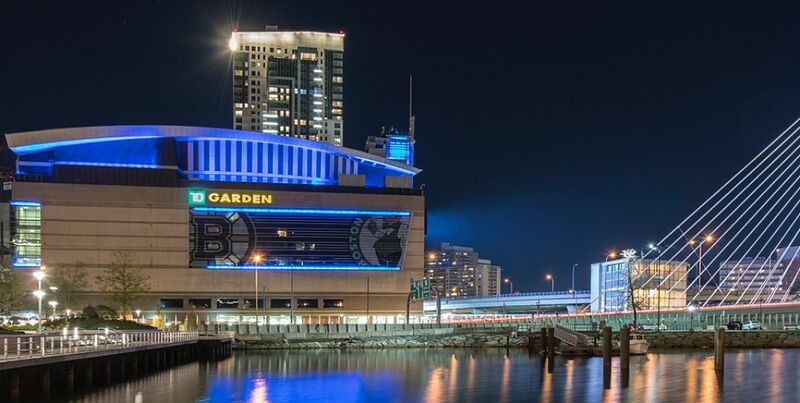 Herb Gallagher was one of the Beanpot's founders, as he originated the concept of a "Boston Hockey Invitational" along with Boston Garden President Walter Brown. He coached NU in the first three Beanpots, and served the school for 45 years as player, coach and athletics director. A 1935 graduate of Northeastern, he earned nine varsity letters in soccer, hockey and basketball. 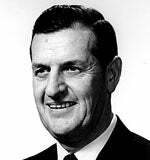 Gallagher coached baseball and hockey at NU for 15 seasons and served as AD from 1956 through 1976. He also is a member of the College Hockey and Northeastern Halls of Fame. 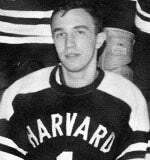 Walt Greeley was named the Most Valuable Player of the first Beanpot tournament in 1952. He scored the overtime game-winner against Boston College in the semifinals of the '52 tournament to propel the Crimson into the finals against Boston University, where he netted a hat trick to lead Harvard to a 7-4 win. He finished the inaugural tournament with four goals and two assists. Greeley captained the team as a senior in 1952-53, helping the team to an 11-5-1 overall record. Jay Heinbuck led Northeastern to two Beanpot titles in 1984 and '85. In his junior season, he led all tournament scorers with one goal and five assists, notching four assists in an opening-round win over Harvard and scoring once and assisting on the game-winner in NU's 5-2 win over BU in the final. 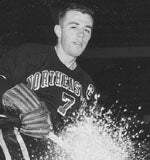 Heinbuck set a new Northeastern single-season record in his senior year with 70 points, earning Team Most Valuable Player and All-Hockey East laurels. 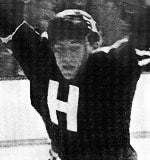 Billy Hogan was a member of the Eagles' 1961 and 1963 Beanpot championship teams, producing an 8-4-12 career line in the Beanpot. He scored four goals and two assists en route to the 1961 title, and was named the 1963 Beanpot Most Valuable Player with one goal and two assists in the tournament. Hogan scored 130 points in 84 career games at Boston College. A 1962 All-American, Hogan was also the 1963 winner of the Walter Brown Award and was a two-time All-East and All-New England selection. 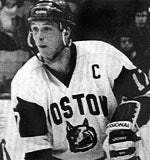 Rod Isbister was a major offensive force for Northeastern during its runs to the Beanpot title in 1984 and '85. In his second year, he scored the eventual game-winning goal in NU's 7-3 opening round win over Harvard in 1984. Playing the 1985 tournament with a broken thumb, Isbister assisted on NU's final two goals in a 4-2 championship-game win over Boston University. The forward earned All-New England and All-East honors that season, and finished as the third-highest scorer in NU history. Gene Kinasewich played in two Beanpot finals in his career, in 1962 and 1963. He helped the Crimson defeat Boston College (6-1) and Boston University (5-0) to capture the 1962 Beanpot title, earning Most Valuable Player honors as he shared the scoring title (2-4-6). Kinasewich led the Crimson in scoring as both a sophomore and senior and ranks in the top 10 all-time at Harvard in career goals with 61. He was also an All-ECAC pick as a senior. Jack Kelley graduated in 1952, about six months before the first Beanpot was played. Instead, he established his own place in Beanpot lore as one of the tournament's most successful coaches. 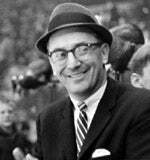 From 1963-72, his teams advanced to the title game nine times and won the Beanpot six times. Kelley's overall winning percentage of .750 in the Beanpot ranks third all-time, while his overall record as a Terrier coach was 206-80-8 for a .714 winning percentage. John "Snooks" Kelley led Boston College to eight of the first 13 Beanpot titles, including winning three consecutive titles from 1963-65, which marked the first time a school won three championships in a row. He also coached the Eagles to the 1949 national championship and eight NCAA Tournament appearances in becoming the first collegiate coach to win 500 games. A 1959 Spencer Penrose Award winner, Kelley was inducted into the U.S. Hockey Hall of Fame and was a recipient of the NHL's Lester Patrick Trophy in 1972. 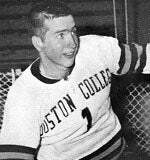 Jim Logue patrolled the net for Boston College from 1959-61, leading the Eagles to Beanpot titles in 1959 and 1961. In 1959, the sophomore became the first goaltender to win tournament Most Valuable Player honors as the Eagles defeated Harvard and BU. Two seasons later, he gave up only three goals in 1961 to win his second championship in three seasons. Logue went on to play for the U.S. National team for seven seasons, including earning a place on the 1968 Olympic team. 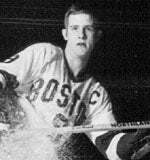 Bob Marquis was one of the most prolific scorers in Beanpot and BU hockey history. In the 1958 tournament, he helped lead the Terriers to a 9-3 win over Northeastern in the title game, and was the leading scorer of the tournament the following season with a 3-4-7 line. In six Beanpot games over three seasons, Marquis finished with a line of 8-8-16, which ranks him in a tie for second on the all-time scoring list. 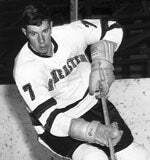 He amassed a career line of 98-66-164 in 73 games with the Terriers. Tom "Red" Martin won the Beanpot with Boston College in 1959 and 1961. In 1961, he netted three goals and three assists to earn Most Valuable Player honors, becoming the first defenseman to be so honored. Martin was named an All-American in both '60 and '61, and was also selected to the All-New England and All-East teams in each of his three seasons. He ranks third among BC defensemen in career scoring (23-111-134) and second in career assists. Martin also was a member of the 1964 U.S. Olympic team. Rick Meagher was the only Terrier to be named a three-time first-team All-American. 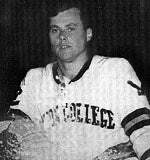 He played on teams that won four consecutive ECAC titles, appeared in four straight NCAA Tournaments and played in four Beanpot finals, winning the 1975 Beanpot title. His best Beanpot game came in the 1976 tournament opener against Harvard, in which he had a goal and two assists. In eight Beanpot games, he had a 5-8-13 line. Overall, Meagher had 90 goals and 120 assists for 210 points in 124 games while at BU. Joe Mullen was a member of Boston College's 1976 Beanpot championship team, and also scored four goals during the 1979 tournament. A two-time All-American, he held the BC career scoring, goal and assist titles (110-102-212) when he graduated. The 1978 recipient of the Walter Brown Award, Mullen went on to play 18 seasons in the NHL and won three Stanley Cup championships, earning a spot in the NHL Hall of Fame in 2000. Mullen stands as the all-time leading American-born point scorer in the NHL with 1,063 career points. 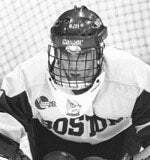 David O'Brien was a member of two Beanpot-winning teams with Northeastern. After winning the title as a freshman in 1985, O'Brien led NU to the title game in 1987, tying the game with one minute left in regulation before the Huskies bowed out in overtime to BU. O'Brien and NU got revenge the following year, as he scored three goals and an assist and captained the Huskies to wins over BC and BU to take home the championship. O'Brien, an NU Hall of Fame inductee, went on to play three seasons with the St. Louis Blues of the NHL. 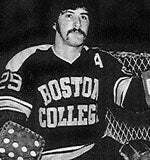 Jack O'Callahan was a member of the Terriers' 1978 and 1979 Beanpot title teams. He was the Most Valuable Player of the 1978 "Blizzard Beanpot" after recording a line of 1-5-6 in two games. In that year of 1977-78, the Terriers finished with a 30-2 record and won the NCAA championship. During his collegiate career, he finished with a line of 18-102-120 in 121 games. O'Callahan went on to play on the 1980 U.S. Olympic team that won the Gold Medal in Lake Placid, N.Y.
After Boston University's win in 2007, Jack Parker has won the Beanpot 23 times as a player and coach. He won three straight Beanpots as a player (1966-68) for BU and carried his success through to his illustrious career as a coach. Following the 2007 Beanpot, his teams have won the title a record 20 times, including a record six consecutive titles from 1995-2000. Parker has won over 750 games and coached more than 1200 for the Terriers, and has won two NCAA and six Hockey East championships as of the 2006-07 season. Dave Poile finished his Beanpot career in 1970, at the time ranking seventh all-time in points scored with 13 points despite never winning a Beanpot title. 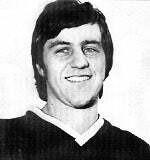 His junior season of 1969, he scored three goals and added two assists, leading all Husky players in scoring. He was voted All-New England and All-East in 1969 and '70, and graduated as the second-leading scorer in NU history with 82 goals. Poile is currently the General Manager of the NHL's Nashville Predators. As the top associate of Boston Garden President Walter Brown and then as the President of the Garden from 1964 through 1973, Eddie Powers was the heart of the Beanpot. He warmly referred to the tournament as "our little college tournament", and under his guidance the Beanpot became one of the Garden's top yearly attractions. 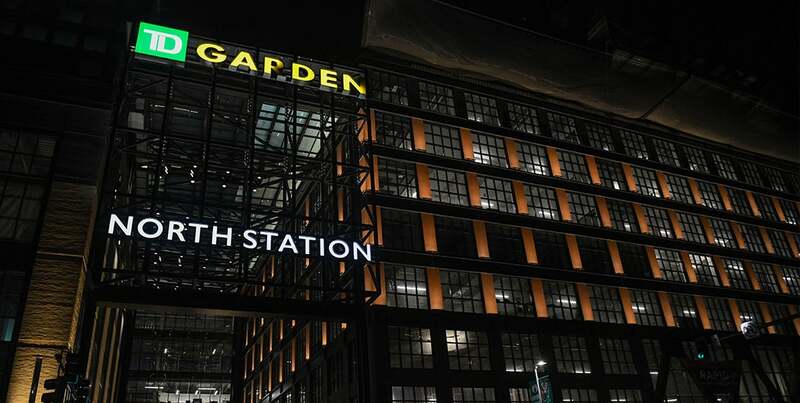 Powers worked at the Garden from its opening in 1928 until the time of his death in 1973. Bruce Racine led Northeastern to titles as a freshman in 1985 and as a senior in 1988, earning both the Eberly Trophy and Most Valuable Player honors in both seasons. He is the only goalie to win two Beanpot MVP awards and is the tournament's all-time save leader with 237. Racine was named All-America and All-New England in 1987 and '88, and led the Huskies to the Hockey East Championship while being named MVP in the 1988 season. Racine, who is a member of the NU Hall of Fame, holds five different Northeastern goaltending records. Randy Roth played in two Beanpot finals, and led the Crimson to the 1974 title with a 2-1-3 Most Valuable Player performance in the championship game. Overall, he posted a line of 4-5-9 in his Beanpot career. Roth was named the 1974 ECAC Player of the Year, and was an All-ECAC and All-American pick as both a junior and senior. He helped the Crimson to two NCAA semifinal appearances, and finished 12th all-time in the Harvard annals in career scoring (54-88-142). 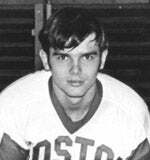 Tim Sheehy played in the 1970 Beanpot championship game, and recorded 15 career points (9-6-15) in the tournament. He graduated as Boston College's all-time leading scorer (74-111-185 in 80 games) and still ranks in the school's top 10. Sheehy was a two-time All-American, a two-time Walter Brown Award winner, a two-time All-East selection and a three-time All-New England pick. Sheehy, who also was the 1970 All-East Most Valuable Player, captained the 1972 U.S. Olympic team as well. Paul Skidmore led Boston College to the 1976 Beanpot title as a freshman with a 36-save effort against Boston University. With the win, he was awarded both the Most Valuable Player and Eberly Awards in '76. Skidmore also won the Eberly as a senior in 1979 when the Eagles fell to BU. The goaltender, who was a two-time All-New England and All-East selection (1976, '77), finished his career fourth in saves (2,761) and third in wins (55) at BC. Ritchie Smith led the Eagles to the 1976 Beanpot title, and scored four goals and 12 assists in eight career Beanpot games. He netted four assists in his first Beanpot game as a freshman in BC's 9-8 overtime victory over Northeastern, and added one goal and two assists in his final Beanpot contest, the 1976 championship game. Smith finished his career as BC's fifth-leading scorer with 94 goals and 104 assists for 198 points, and led the Eagles in scoring in each of his four seasons at the Heights. 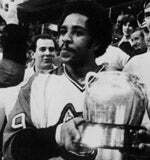 Vic Stanfield is the top-scoring defenseman in Beanpot history, with a 4-11-15 line from 1972-75. During his sophomore season, he had a 1-5-6 line to become the first defenseman in Beanpot history to lead the tournament in scoring; in 1975, he scored two goals and four assists to again lead the tournament in scoring. In both of those seasons, the Terriers won the tournament title and Stanfield was named Beanpot Most Valuable Player. 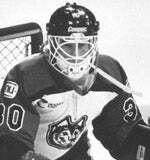 He finished his Terrier career with a 31-129-160 line in 92 games. Steve Stirling was instrumental in Boston University's 1970 and '71 titles. As a senior in 1971, he scored two goals and added five assists in two games, including scoring the game-winning goal in the team's 4-1 win over Harvard in the championship game. His scoring, along with his penalty-killing prowess, earned him Most Valuable Player honors in '71. Later that season, Sterling captained BU to its first-ever NCAA championship and earned All-American honors in the process. 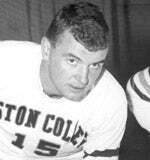 Jim Tiernan reached the Beanpot finals in all three seasons and helped Boston College win two titles in 1956 and '57. Tiernan earned Most Valuable Player honors in his junior season after scoring twice in an opening-round win over NU and once in the 4-2 title-game win over Harvard. He came back the next season to record three assists in a 6-0 opening-round win over NU, and ended his Beanpot career with four goals and six assists for 10 points. Wayne Turner is known as "Beanpot" Turner for his overtime goal to defeat Boston College, 4-3, in 1980 to give Northeastern its first-ever Beanpot championship. 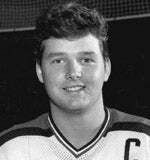 In the opening round of the '80 tournament, he scored two goals in a 6-5 overtime upset win over Boston University. Turner served as captain of the Huskies during the 1979-80 season. A member of the NU Hall of Fame, Turner graduated in 18th place in scoring all-time at NU with 108 points on 51 goals and 57 assists. Herb Wakabayashi is a two-time All-American who helped the Terriers to Beanpot titles in 1967 and 1968. In the 1967 tournament, he had six assists, which is a record he still shares with BC's Billy Daley and the Terriers' David Silk. 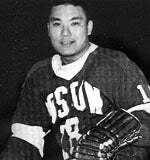 Wakabayashi was named Most Valuable Player in 1967, and the following season had two goals and three assists in BU's 7-4 opening-round win over Northeastern. He finished his collegiate career with a line of 55-90-145 in 92 games, and represented his home country of Japan at the 1992 Olympics in Sapporo. Ralph "Cooney" Weiland coached the Crimson to the first Beanpot title in 1952, and captured five tournament crowns overall. Before coming to Harvard, he played on the first Bruins Stanley Cup championship team in 1929 and coached the B's to the 1941 Cup. 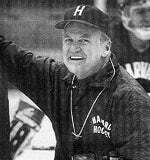 As the Harvard coach, Weiland won two ECAC Tournament titles and five Beanpot titles, compiling 315 wins in his 21-year tenure. 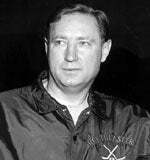 He won the Spencer Penrose trophy as the National Coach of the Year in both the 1954-55 and 1970-71 seasons.